Australian Regenerative Medicine Institute (ARMI) researchers have discovered that white blood cells called macrophages may hold the key to tissue regeneration. This discovery may help in new therapies involving repairing and regenerating tissues in the heart, spinal cord and lungs. Researchers studying salamanders have noted that the reptile's ability to regenerate its tail without any sign of scars may be due to this immune cell. 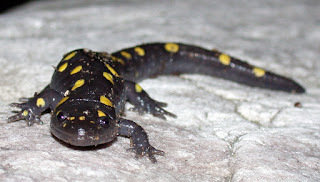 The researchers found that without the presence of macrophages, the salamanders do not regenerate a lost limb. By studying this ability, the discovery can help in research towards therapies involving organs where damaged tissues can regenerate without scarring. Sensitive organs such as the heart and the spinal cord can benefit with this discovery. Researchers at ARMI are now looking to replicate this process with human tissues. Salamanders' immune systems are key to their remarkable ability to regrow limbs, and could also underpin their ability to regenerate spinal cords, brain tissue and even parts of their hearts, scientists have found. In research published today in the Proceedings of the National Academy of Sciences researchers from the Australian Regenerative Medicine Institute (ARMI) at Monash University found that when immune cells known as macrophages were systemically removed, salamanders lost their ability to regenerate a limb and instead formed scar tissue. Lead researcher, Dr James Godwin said the findings brought researchers a step closer to understanding what conditions were needed for regeneration. Aside from "holy grail" applications, such as healing spinal cord and brain injuries, Dr Godwin believes that studying the healing processes of salamanders could lead to new treatments for a number of common conditions, such as heart and liver diseases, which are linked to fibrosis or scarring. Promotion of scar-free healing would also dramatically improve patients' recovery following surgery.